Director Aditya Chopra added his name into the list of landmark films from our country with help of his debut film 'Dilwale Dulhaniya Le Jayenge'. This movie opened up a new genre, established Shah Rukh Khan as a superstar, changed the aura of romantic films and has been breaking all sort of records. Thus, whenever Aditya made a film the expectation level were sky high as the audience wanted him to surpass the magic of 'DDLJ'. His later films with Shah Rukh Khan were decent but nowhere close to the brilliance of 'DDLJ'. Thus, right from the announcement of his latest film 'Befikre' manage to create curiosity as it had Ranveer Singh instead of the superstar Khan. The trailers are pacy and songs are peppy making the movie totally youth appealing. 'Befikre' is a story of a stand-up comedian Dharam (Ranveer Singh) who has shifted his base from Delhi to Paris. Dharam meets Shyra (Vaani Kapoor) in a party and bonds with her care free fun loving attitude. After few casual hook-ups Dharam and Vaani decide to go into a live-in relationship as both want to enjoy their phase of life without being committed to each other. The relationship ends after a while and both of them move on with their individual lives. This break-up also makes them realize that they could be great friends. This marks the beginning of a new chapter in Dharam and Shyra’s life. 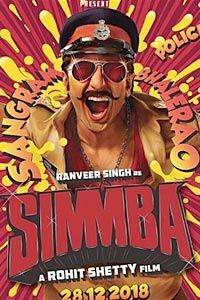 The first half is filled with some fun loving engaging scenes especially of Ranveer Singh. These scenes along with the goofy antics of Ranveer Singh makes the first half of the film end up as a light hearted time pass fun..Though, the entertainment quotient is maintained in the second half with few more such scenes. 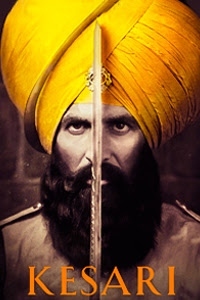 The cinematography is of top notch and gives the movie its international touch. All the locations of Paris goes well with the flow of the film. The music of 'Befikre' fails to meet up the mammoth expectation level but on its individual basis is foot taping and enjoyable. 'Labon Ka Karobaar' is a sweet song filled with loads of kisses. 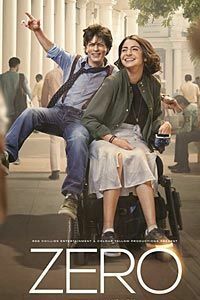 'Nashe Si Chadh Gayi', 'Ude Dil Befikre' and 'You and Me' are totally enjoyable. Director Aditya Chopra teams up with Ranveer Singh and breaks up with his monotony of working with Shah Rukh Khan. 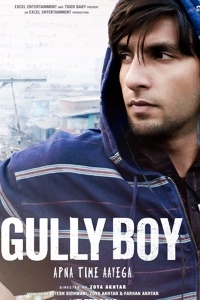 Ranveer Singh is like a live-wire in this film. Remove him from the movie and there will be a huge black-hole in the movie. He keeps you entertained as well as engaged due to his wacky style and funny antics. His energy level keeps the movie going. Vaani Kapoor is fine in her part as a French girl. The story is something we have witnessed many times and mostly in the Yash Raj/ Dharma production type of movies. One will also remember films like 'Neal and Nikki' and few more. 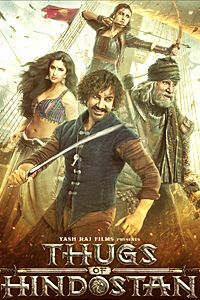 The second half is predictable and has a forced movement in the screenplay but that too without any conviction factor. All these fun keeps the movie going but there is nothing in it which we have not seen before. The drama part is highly predictable and fails to connect. The stale screenplay level keeps its consistency, but, fails to rise above it. It's not a bad or a boring film, it’s just like an old wine in a new and brightly packed bottle. 'Khulke Dulke' is unwanted. 'Befikre' fails to rise above Aditya’s finest film 'Dilwale Dulhaniya Le Jayenge'. Aditya gives us something which his assistants and outside directors have been making for his banner. Vaani Kapoor's looks go apt with her character but at the same time one cannot fail to notice her face structure which lacks the cuteness factor which she used to once have. 'Befikre' is all body and no soul type of film, which looks cool and has decent fun but nothing that important to be cherished forever on the lines of 'DDLJ' or 'Mohabbatein'.